A romantic getaway is always needed for a couple to refresh their relationship. What better way to do that than with a romantic getaway? 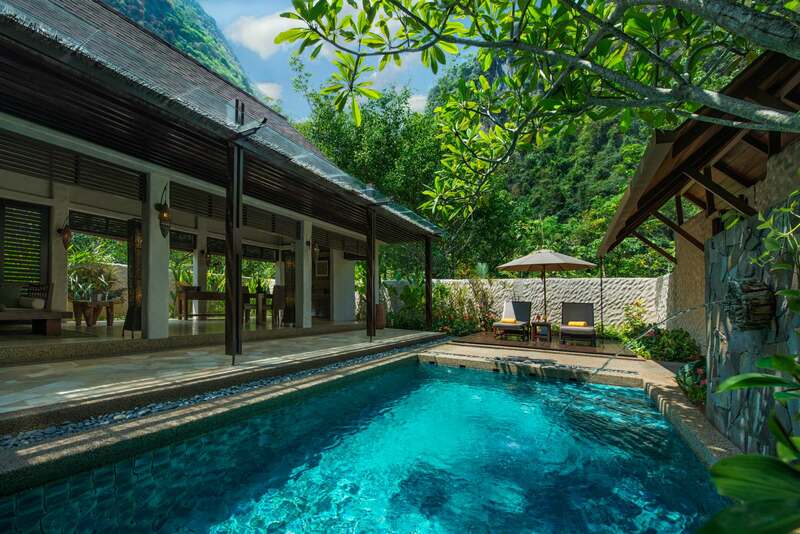 Consider this: taking a weekend vacation over at The Banjaran Hotsprings Retreat Ipoh. After all, it’s only a little over two hours of driving to get there from KL. It’s the perfect location for a relaxed couple’s getaway. Smacked within the confines of nature, it’s an idyllic spot away from the hustle and bustle of the city without needing to get on a plane. Without the distractions of city noises, you can focus on what’s most important: each other. Besides, The Banjaran Hotsprings Retreat Ipoh itself is a luxurious resort — what more do you need? 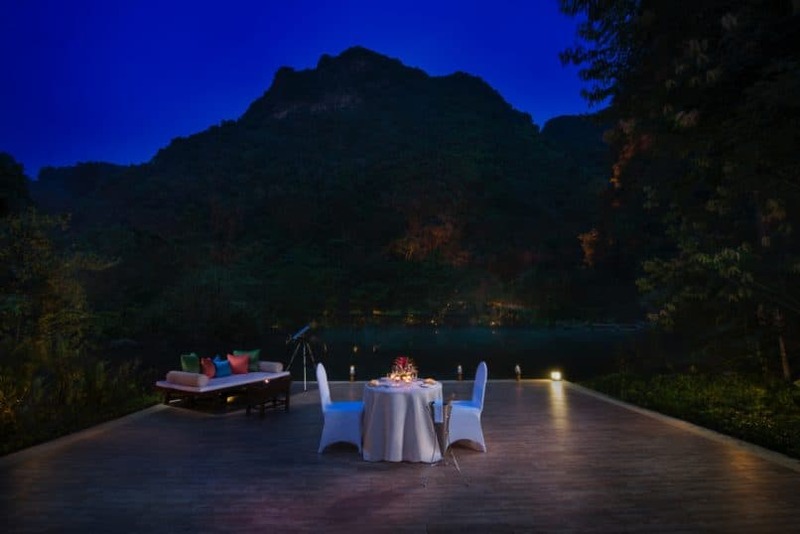 But since you’re already here, allow us to tell you why you need to head to The Banjaran Hotsprings Retreat Ipoh for a romantic getaway. 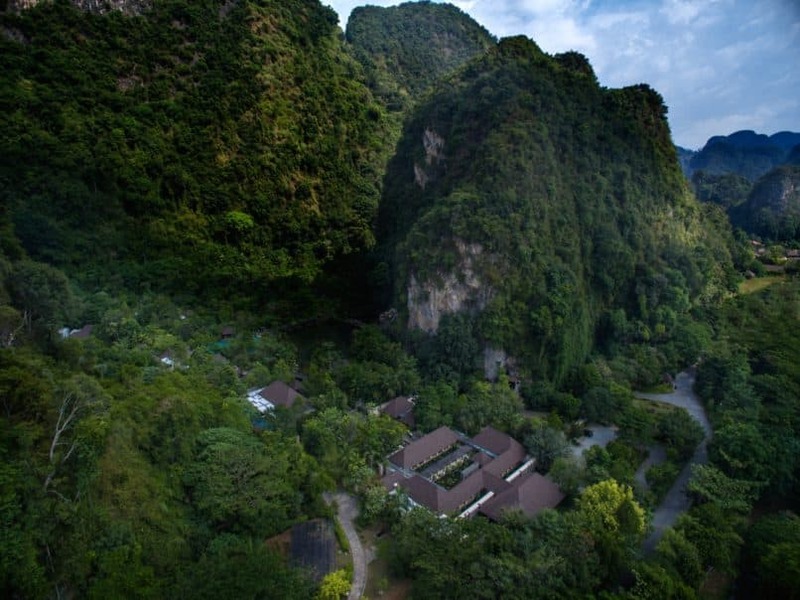 Thanks to its extremely close proximity to nature, The Banjaran Hotsprings Retreat Ipoh provides several retreats that take place within its natural surroundings. Relax in the geothermal hot spring dipping pools to relieve your weary muscles or clock in some quiet time with you and your partner in the thermal steam cave. If meditation is something you would like to try out, the resort also has a meditation cave and a crystal cave with natural amethyst and quartz crystals for an alternative form of healing. Plunge pool at the Lake Villa. Choose from three different designs of villas at The Banjaran Hotsprings Retreat Ipoh: the Garden Villa, Water Villa, and Lake Villa. The Garden Villa is the largest room type at 2,808 sqft and even comes with its own courtyard complete with a serene backdrop of the caves and jungle. 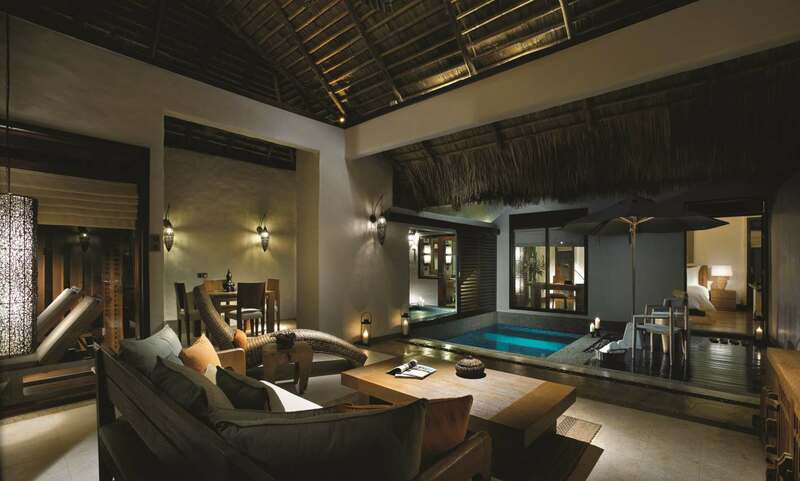 The Water Villa overlooks a gorgeous water canal while the Lake Villa has a lake view. 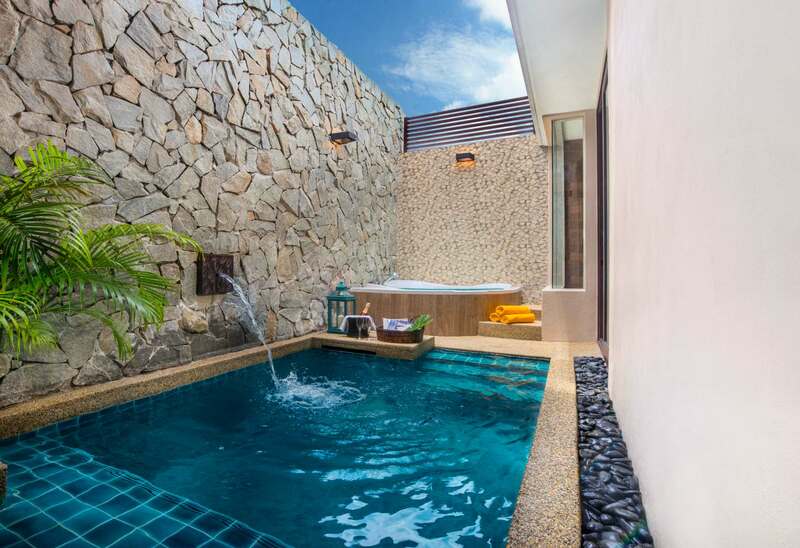 Each room type comes with its own private pool and hot tub. What’s a retreat without a spa session (or two)? 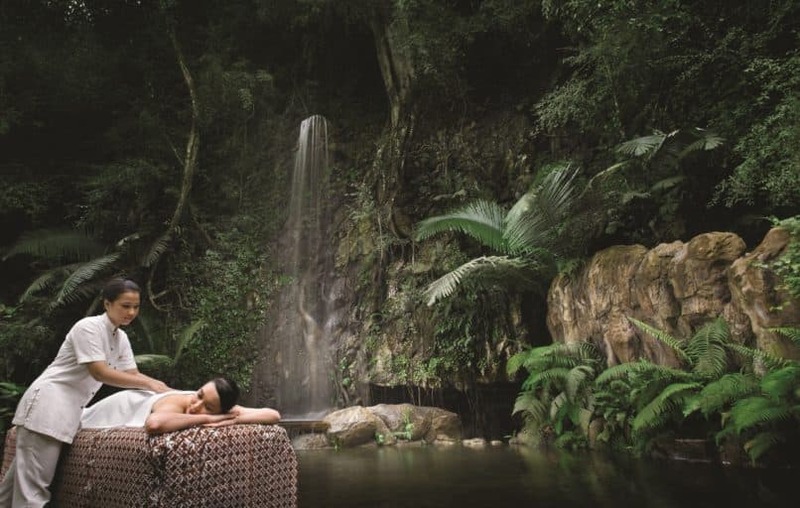 Take time out with your partner for a spot of indulgence, because The Banjaran Hotsprings Retreat Ipoh has several options for you to choose from, depending on your personal preference. Some of the resort’s star treatments include the Malay Ramuan Spa Journey, Colon Hydrotherapy, and Abhyanga Rejuvenation Massage. The Malay Ramuan Spa Journey is a traditional treatment featuring indigenous ingredients that contain healing properties. There is a Hawa and Adam treatment for women and men respectively, which includes a massage, luxurious scrub and wrap, herbal cleanse, smoothening hair treatment, and a calming bath after. The Banjaran Hotsprings Retreat Ipoh has two in-house dining outlets: Pomelo and Jeff’s Cellar. Pomelo is the resort’s all-day dining restaurant with a great view of the surrounding limestone cliffs. To change things up, the restaurant features a special monthly menu too. Over at Jeff’s Cellar, you get to dine in a cool and quiet setting — within the limestone caves. One of the most unique wine bars in the world, Jeff’s Cellar boasts a unique selection of organic and rare wines to be enjoyed in an ethereal cave environment. Excited for this getaway? All you have to do now is make your booking over at The Banjaran Hotsprings Retreat Ipoh. 1, Persiaran Lagoon, Sunway 3, Ipoh, Malaysia.